Bellator heads to the San Jose State University Event Center in San Jose, Calif., for Bellator 147. The card, which marks the organization’s last event of 2015, will feature five main-card fights with a few of those contests having the possibility to change their respective divisional landscapes. The main event features former UFC and Strikeforce fighter Josh Thomson, who will make his second appearance under the Bellator banner, taking on Pablo Villaseca. Thomson signed with the organization in August and was successful in his promotional debut against Mike Bronzoulis. Thomson beat Bronzoulis by third-round submission. Villaseca is also making his second appearance for Bellator, but he lost his Bellator debut by split decision against Bobby Cooper in June. The co-headliner features two fighters who could very well be the first challengers for new featherweight champion Daniel Straus. Former title challenger Daniel Weichel will look to get another shot at featherweight gold against former World Series of Fighting featherweight champion Georgi Karakhanyan. 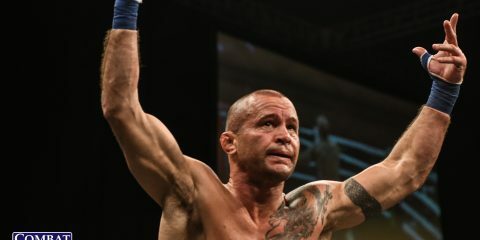 These two men are loosely connected: Karakhanyan pulled out of his title fight with Patricio Freire earlier this year and Weichel stepped in to take his place. Weichel came very close to bringing home the belt after dropping Freire late in the first round, but time was against him and he was unable to secure the victory. That cost Weichel dearly. In the beginning seconds of the next round, he was dropped and knocked out by Freire. Patricio Freire’s brother, Patricky, is also featured on this card. He will seek to avenge a loss from earlier in his career against Derek Anderson. With a victory, either man could stake his claim to a lightweight title shot against champion Will Brooks. At the light heavyweight level, Virgil Zwicker and Brian Rogers will meet to see who will advance their light heavyweight championship ambitions, and the main card will kick off with a featherweight showdown between prospect Adam Piccolotti and Mario Soto. 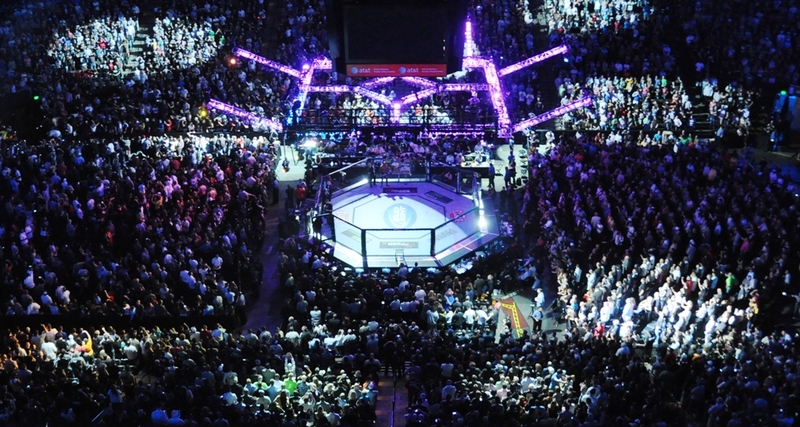 The Bellator preliminary action begins at 7 p.m. ET on Bellator and Spike.com. The main card will start at 9 p.m. ET, live on Spike TV. 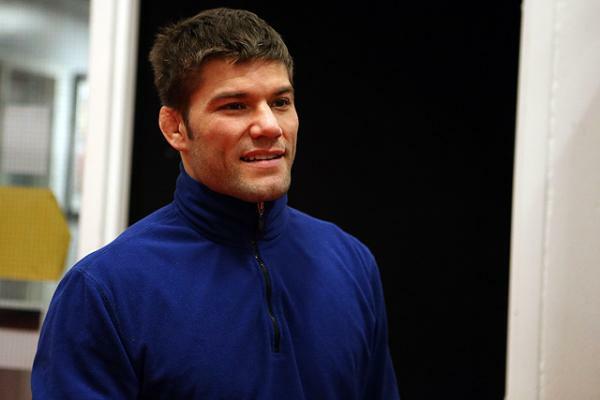 Josh Thomson makes his sophomore appearance in Bellator. 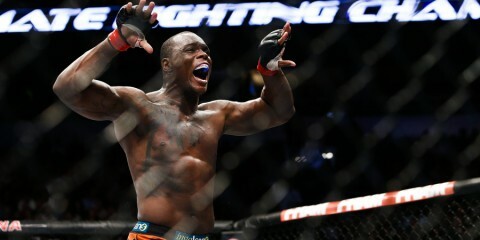 If he emerges with the win, he could possibly see a title shot against champion Will Brooks. Standing in his way will be Pablo Villaseca, who will also be making his second appearance for Bellator, stands in Thomson’s way. This is a pretty one-sided fight, all things considered. Thomson is the former Strikeforce lightweight champion and was once one of the better lightweights on the UFC roster. 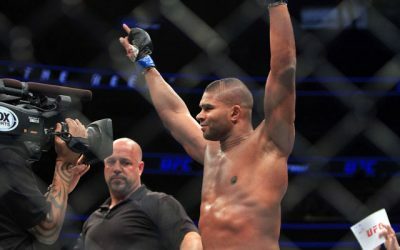 While he is 2-3 in his last five fights and hasn’t strung together a winning streak since 2010, Thomson is still a huge step up in competition for Villaseca. 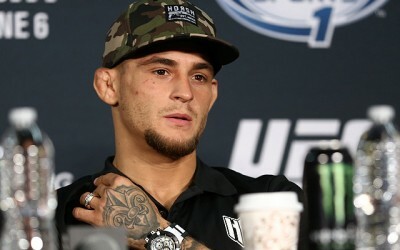 Thomson has fought the better part of the UFC lightweight division, including Gilbert Melendez, Benson Henderson and Tony Ferguson, and he holds victories over the likes of Nate Diaz and K.J. Noons. Villaseca’s previous Bellator fight, a split decision defeat against Bobby Cooper, counts as the lone loss on his record. The problem is that Thomson is on another level compared to Cooper. Villaseca has won a majority of his recent fights by submission, but it’s hard to see him submitting somebody like Thomson, who has faced much better grapplers in the past and escaped. Thomson brings a lot to the table. Wherever this fight goes, the 37-year-old holds a clear advantage. Whether it be in his grappling, which earned him the win his Bellator debut against Mike Bronzoulis, or the knockout power that helped him beat Diaz, Thomson is the clear-cut favorite in this fight. Even though this is only the co-main event of the evening, it is actually the most meaningful fight on the card. The winner of this scrap between Daniel Weichel and Georgi Karakhanyan is most likely going to be the first challenger for recently crowned featherweight champion Daniel Straus. In other words, this is a very high-stakes bout. This contest has the potential to be a really fun fight. These men have a ton of experience — a combined 73 fights in their professional careers — under their belts. Karakhanyan is the former World Series of Fighting featherweight champion. He beat Lance Palmer for the belt at the end of 2013. He didn’t hold the title for long, though. Karakhanyan lost his first title defense against Rick Glenn, albeit by corner stoppage due to a rib injury. 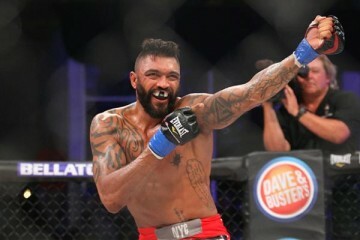 The 30-year-old last fought in January against Bubba Jenkins and quickly took care of the prospect in his return fight to Bellator. Karakhanyan’s record is very misleading. He is a very well-rounded fighter who can control the fight on the feet, but who can also beat opponents on the ground. He has 14 wins by submission, mostly chokes. A prime example would be his last fight against Jenkins where Karakhanyan absolutely had the control of the fight from the start. He also has a very dangerous guard. While he might not have the best takedown defense, Karakhanyan has the grappling skills to make up for it. He topped two very high-level collegiate wrestlers in Palmer and Jenkins with submissions. Karakhanyan’s ground game could come in handy against somebody like Weichel, who likes to use his grappling to manipulate and control the fight. In his last outing, Weichel showed more of his striking and really took the fight to Freire in the first round. Weichel perhaps should have won the fight by a late first-round stoppage, but the contest went on and Freire made a comeback in the first 30 seconds of the second frame. Against Pat Curran, Weichel also looked very good on the feet and was able to outstrike the former champion. It’s pretty refreshing to see such an even match-up. There is definitely a lot on the line for both fighters. This will come down to who can dominate more on the feet. That man is likely to be Karakhanyan. Patricky “Pitbull” Freire has been a very interesting mixed bag of results during his career. His style is very entertaining. He really likes to press the action and commits to being highly aggressive in his fights. It works on some occasions — see any of his nine knockout victories — but sometimes it really harms him — see his fight against Eddie Alvarez. The 29-year-old Brazilian has struggled against the better lightweights on Bellator’s roster. Whether it be the aforementioned Alvarez, Marcin Held or Michael Chandler, Freire has trouble breaking through the ceiling and securing his own shot at lightweight gold. He has already fought Derek Anderson once before, in 2013 at Bellator 98, and dropped the decision. In their first fight, Anderson was able to beat Freire on the feet. Freire was able to find success early in the fight with his takedowns, but his success waned over three rounds. 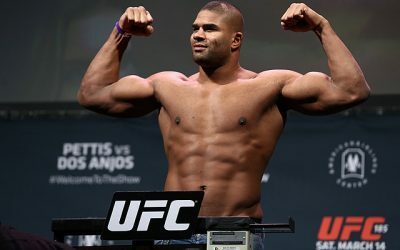 Freire needs to come into this rematch with better conditioning, as that seemed to be his undoing in the first affair. Anderson was able to stuff takedowns in rounds two and three and keep the fight on the feet. Freire also had a chance to finish a wobbled Anderson, but he decided against taking the opportunity. At 25 years old, Anderson has a bright future. However, he has stumbled in recent outings where he dropped a decision to Brent Primus and was submitted by the aforementioned Held. Anderson should come back strong in this fight, though. He found success against Freire the first time, and he’ll take the victory once more by decision. 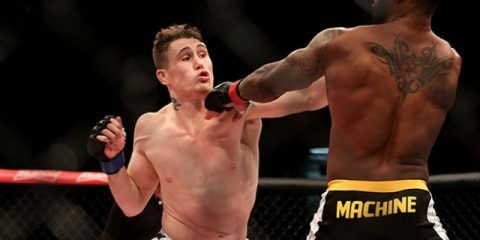 Virgil Zwicker is coming off victories over UFC veterans Razak Al-Hassan and Houston Alexander. 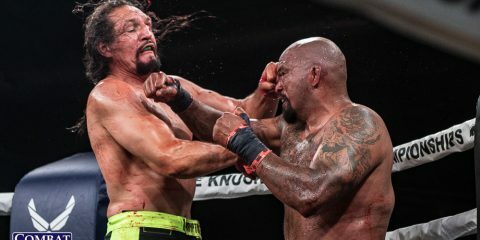 His battles with Alexander — they fought to a draw at Bellator 129 before Zwicker emerged victorious in their rematch at Bellator 132 — were closely contested fights. His victory over Al-Hassan came via a late first-round knockout. Zwicker has shown problems with fading over the course of three rounds, as evidenced in his second fight with Alexander. In the pair’s first fight, Zwicker did get better as the rounds went on, but his game became sloppy. Luckily for Zwicker, Brian Rogers may be a very game opponent who is willing to stand with him and trade hard shots. Rogers only has one knockout stoppage over the last few years, but he packs some incredible power in his hands and in the diversity of his striking. 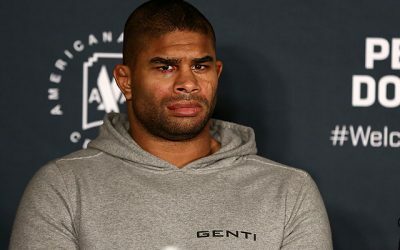 Rogers has struggled since 2013, winning only once in five fights. This is another tough fight for Rogers against somebody who can beat him on the feet if he can’t land that one solid shot. Zwicker has looked the better of the two fighters in recent times and should land the victory here. Adam Piccolotti has been fighting primarily on the preliminary card, but he gets a bump up for the last event on Bellator’s 2015 schedule. He draws Mario Soto for a contest that will open the televised portion of the event. Piccolotti has two fights in Bellator and emerged with his hand raised on both occasions. In his last fight, which took place three months ago, he pulled off an incredible neck-crank submission against Salvador Becerra. The 27-year-old also defeated Andrew Ramm by decision earlier this year. Piccolotti has shown some excellent skills on the ground in both fights so far in Bellator. 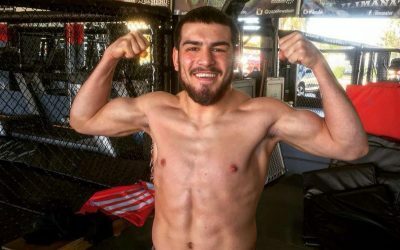 While the promotion looks to be taking the slow route in building him as another top fighter in one of its best divisions, Soto, who has five submission victories, could give him a run for his money on the ground. Piccolotti has been impressive, though, and should continue in his winning ways against Soto.